The strength of the HOC program is based on the strength of the staff team. The staff development programs are the foundation of training individuals to work and succeed in the camp environment. Working alongside the Head of Staff Development (HSD), the Assistant's main role is to support and improve the effectiveness of the Staff Development Programs. This role requires the Assistant to assist the HSD with theory sessions for both Staff Development programs daily. In addition, the role requires that the Assistant ensure weekly schedules and CIT/LIT expectations are followed through, assist in the delegation of all activity sessions, assist in the planning and leading of a four day canoe trip in Algonquin Park (once per session) as well as a one night camping trip with LITs (once per session) and assist in completion of all CIT/LIT evaluations. Reinforce the camp philosophy, policies and standards by acting as a role model to the CITs/LITs and being an active participant in the camp community. Provide assistance to the Head of Staff Development, in all areas of daily tasks, responsibilities, sessions, and trips associated with the Staff Development Program. Reinforce the camp philosophy, policies and standards by acting as a role model to the staff and being an active participant in the camp community. Provide leadership and guidance to staff and campers. Improve the effectiveness of camp programs by establishing clear and concise goals. 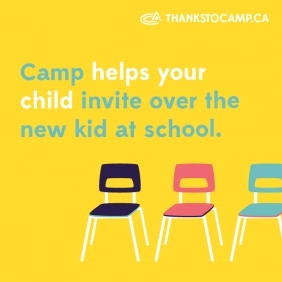 Ensure staff provide care to our campers that reflect the standards and guidelines of HOC's Child Care Practices. Accept responsibilities to maintain the Master Camp timetable. Ensure that proper equipment use and safety rules are followed by staff. Create and execute camp programming that is age appropriate, productive, and fun. Attend, and assist in organizing and facilitating sessions and programming for Staff Orientation Week in late June. Attend the Senior Staff Training Weekend in late June. Participate in and take a leadership role in the training for land search and rescue procedures and assume a leadership role during a land emergency. Carry an assigned radio and be available in case of an emergency at all times. Assist with all Sunday camper check-ins. Attend all Thursday evening staff meetings. Make any transportation runs (ie. Clinic / Hospital) that are required, provided that you are free at the time. Assist in completing a Program report and updating the program manual at the end of the summer. Complete 1- 2 duty weekends that may include Friday/Saturday curfew sign in, Saturday check-out, and holdover supervision. Duty weekends will be assigned in advance and must be adhered to. Complete weekly Sr Staff duties as scheduled. (Office shift, Coaches Corner, nightly rounds etc.). Approximately 2-4 duties per week depending as required. The Staff Development Assistant can expect between 8-10 hrs of scheduled duties daily not including other duties as assigned based on program needs. Leadership and Participation in camp-wide special events (All Camps, Friday Campfire, Program Demonstrations) and weekly meetings are an expectation of all staff members. Assistants are allowed one weekend off. This is scheduled with the Camp Director at the beginning of the summer. To ensure that we are able to schedule Duty Weekends around Saturday Evening Supervision responsibilities, Assistants need to be flexible around their personal schedule. Weekly time off will be scheduled each week that may include mornings, afternoons, or additional weekends free of assigned duties. Wages: Summer wages vary depending on age, qualifications, and experience of applicants. Room and board are included. Currently enrolled in a college or university program with preferred study in Recreation Management, Education, Early Childhood Development, Physical Education or Personnel Management. Outdoor camping/tripping skills an asset. Experience working with children of varied ages in a supervisory or teaching situation. Specific camp experience an asset. Demonstrated ability to communicate, evaluate and deal effectively with problem-solving situations within the area of responsibility. Genuine interest in working with children in the community. Minimum Bronze Cross swimming certification. Emergency First Aid and CPR certification. Must be enthusiastic, energetic and a positive person. Must be willing to take part in camp related activities outside the defined job description.